Renowned South Korean scientist, Professor Yong Ho Park of Seoul National University will share his insights on the work of the Codex Task Force on Antimicrobial Resistance (AMR) at the IDF World Dairy Summit to be held in Daejeon, South Korea, from 15-19 October. Prof Park will deliver his presentation at a day-long conference on Animal Health and Welfare on 18 October. He will be joined by Elisabeth Erlacher Vindel of the World Organisation for Animal Health (OIE) who will speak on AMR strategy and the prudent use of antimicrobials. 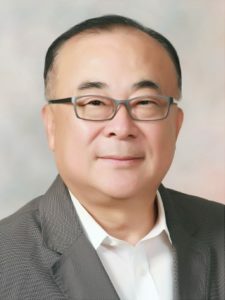 Professor Keu Suk Seo of Mississippi State University will discuss new research in the development of mastitis vaccine. The new outbreak of Mycoplasma bovis in New Zealand will be a topic that Dr Tim Mackle, CEO of DairyNZ, will address at the conference. “The dairy sector has been making efforts towards a reduction in antimicrobial usage in the past decade,” said Dr María Sánchez Mainar, IDF Technical Manager, who is the coordinator of the Animal Health and Welfare Conference. “Implementing preventive actions at herd level will help minimize the need for antimicrobial use. These measures are mostly involved in the prevention and control of bovine mastitis through good farm and animal management practices,” she stated.